Lots of superheroes add up to lots of money for "The Avengers." The film featuring a team of Marvel Comics heroes pulled in $80.5 million in its domestic debut Friday, the second-best haul ever on opening day. "The Avengers" trails only last year's "Harry Potter and the Deathly Hallows: Part 2," which took in $91.1 million in its first day on the way to a record weekend of $169.2 million. The huge opening for "The Avengers" launches what's expected to be a colossal summer for Hollywood, whose domestic revenues already were running 14 percent ahead of last year's going into the weekend. Summer season began a year ago with the Marvel Comics adventure "Thor," one of the solo superhero sagas that led to "The Avengers." ''Thor" earned a respectable $65.7 million for the entire weekend, while "The Avengers" brought in far more than that in a single day. The superhero summer continues through July with two more blockbusters in the making: "The Amazing Spider-Man" and "The Dark Knight Rises." Produced by Disney's Marvel Studios unit, "The Avengers" already is more than halfway toward beating the opening weekends of the second and third films on the debut charts. At No. 2 is "The Dark Knight" with $158.4 million in its first three days, while this spring's blockbuster "The Hunger Games" is No. 3 with $152.5 million. 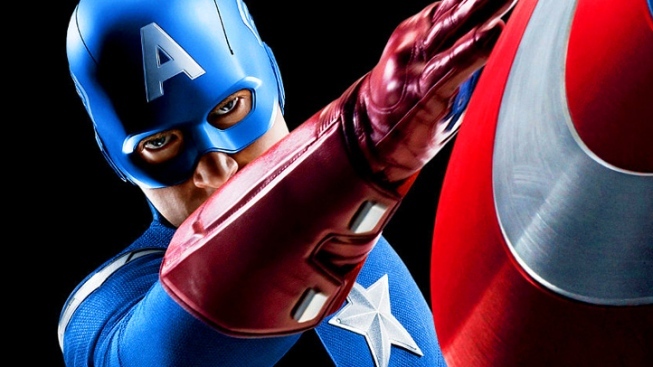 "The Avengers" opened a week earlier in many overseas markets, where it has pulled in blockbuster cash in a matter of days. The film added $30.3 million internationally Friday, bringing its overseas haul to $334.3 million. Adding in its first-day domestic receipts, "The Avengers" has climbed to a worldwide total of $414.8 million. Directed by Joss Whedon ("Buffy the Vampire Slayer"), "The Avengers" stars Robert Downey Jr. as Iron Man, Mark Ruffalo as the Incredible Hulk, Scarlett Johansson as Black Widow, Chris Evans as Captain America, Chris Hemsworth as Thor and Jeremy Renner as Hawkeye. Samuel L. Jackson plays Nick Fury, the superhero recruiter who teams them up to fight off an invasion of Earth plotted by Thor's wicked brother (Tom Hiddleston).